The Colusa County Free Library carries a wide variety of materials for adults — the latest bestsellers, fiction and nonfiction, large print books, newspapers, magazines, audiobooks, DVDs and compact discs. From author visits to cultural performances, the library also offers free recreational, cultural and lifelong learning opportunities of all kinds. Library2Go, powered by Overdrive gives access to thousands of eBooks and eAudio books using your library card and the Overdrive application. For download instructions for iPad, iPod, iPod Touch, and Kindle, click here. With over 50,000 eBook titles in the shared collection, Enki provides library patrons with a turnkey, ready-made, librarian-curated collection of popular fiction and nonfiction genres including romance, mysteries, travel, technical, crafts, cooking and more. Of particular interest are more than 900 graphic novels! Available anywhere using your library card. Formerly Zinio for Libraries, RB Digital allows you to instantly read all current and backlist volumes for more than 165 magazines on desktop and mobile browsers for free using your library card. NOTE: You can only read single issues of magazines in the app. Use RB Digital’s online site to browse for magazine to checkout or to download new issues. Explora provides full text access to scholarly journals, magazines, reference books, and news sources, including Consumer Reports, Time Magazine and AP video. The Colusa County Free Library's Literacy Program offers one-on-one English language reading and writing assistance to adult learners, over the age of 16. 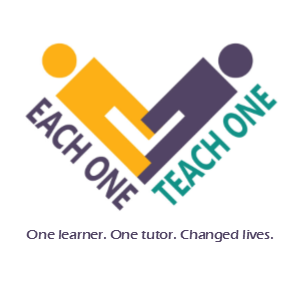 Each student is assessed and then partnered with a trained volunteer tutor. The tutors and learners meet once a week in a public space, for approximately one hour, and use curriculum provided by the Literacy Program. Services are free and instruction is goal-directed and student-centered. For more information about becoming a student or tutor, visit the Literacy Program or contact Literacy Coordinator, Alissa Morrow. Expand your reading horizons this year by joining the Friends of the Library monthly book club! Book discussion groups are a great way for book lovers to enjoy reading and spending time in each other's company. Each month, book club members select a book that is read by all members of the club who are able, followed by lively discussions and reactions to the reading. Visit the FOL Book Club web page for this month's selection and meeting time. Contact the Colusa branch library at (530) 458-7671 with any questions.